Check out Sofia for Sense Clothing's Fall/Winter 2014 ad and website. Photos by Peter Ogilvie. 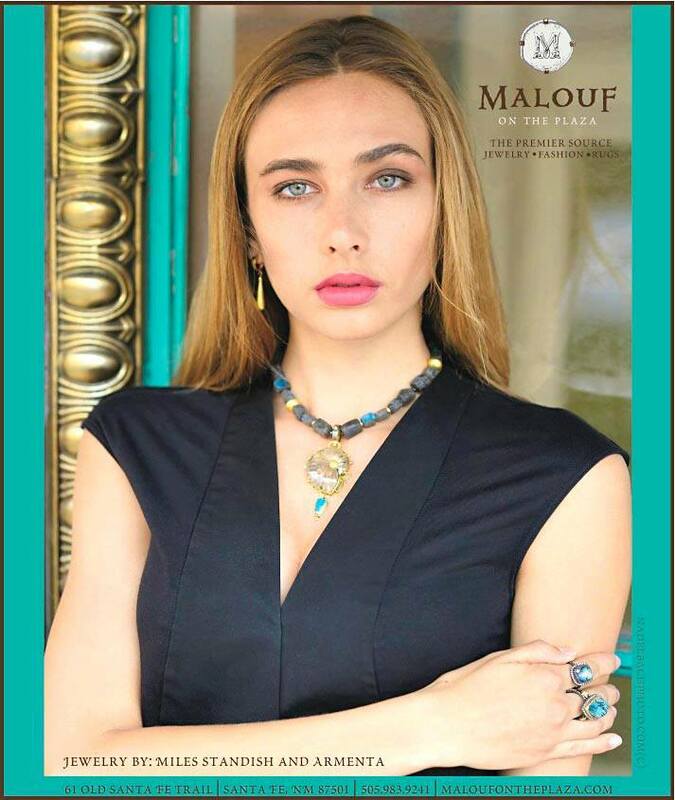 New print campaign featuring Dale for Malouf on the Plaza in Santa Fe going to press in numerous magazines throughout the Fall season. Beautiful work! Trend Magazine Summer Issue Launch Party. We had a great time last night in Santa Fe at the Trend magazine launch party. Our models Dale, Michaela and Sofia are featured in the current issue's fashion editorials and received lots of attention during the publication gala. Congrats going out to our very own Sofia for landing the cover of the Trend fashion glossy wearing Ammunition Couture by Jeffrey Gonzales and photographed by Peter Ogilvie. Also thanks to Cynthia Canyon for the libations, food and overall great time. Looking forward to great things to come. Check out the latest issue on newsstands across the region! Dale in Lucchese, Michaela in Spirit of the Earth. Michaela with her copies of Trend. Dale & Sofia enjoy the event. Making new friends with Abby. Lovely Abby knows how to accessorize. Welcome to the home of New Mexico fashion models. We are a New Mexico modeling agency and proud to be representing newly-discovered top talent to represent the New Mexico fashion scene and businesses who want the best agency-represented models for their brands.